As Cowboy Bebop has become this evergreen ambassador of anime, we decided to go back and re-watch the show now that is has gotten a beautiful Blu-ray box set. Every week we will share our memories and then re-evaluate these stories with 16 years of experience and distance. Which episodes are just as we remember, which have major flaws, and which have aged like a fine wine. At the same time, we will also look back on the music, cultural references, and holistic connections contained within each episode. Plus, we will judge if there in an appropriate amount of Ein. 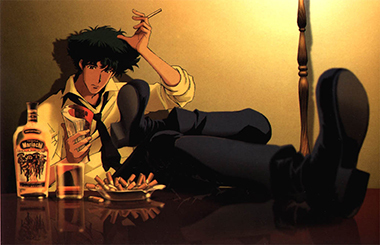 Does Cowboy Bebop hold up as a classic or was its reputation all a dream? Let’s rewatch Cowboy Bebop together and find out!